Great for back to school first graders as they review and practice math facts to ten. 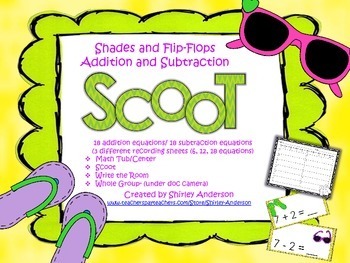 This is easily used for math centers, a Scoot game, or write the room. This will also work great for the end of year Kindergarten students as you move into late spring, early summer. There are 18 cards for addition, another 18 cards for subtraction. 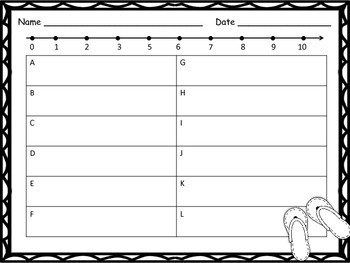 There are 3 different recording sheets as students can do 6 equations, 12 equations, or all 18 equations.